In the second of our "Smarter than a travel agent" series, we are going to look at the use of the top Online Travel Agency (OTA), Expedia. We are going to be consistent with yesterday's blog and use the same itinerary, Tampa to London's Gatwick airport, outbound on the 8th of July and returning on the 10th. 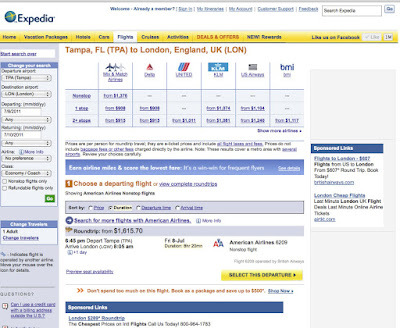 Expedia displays the options in a grid, which was originally branded by Orbitz as the Matrix™ display. If you will remember yesterday's blog, Bing gave us a fare on Continental for $1010 via Washington DC (just over 11 hours elapsed time). 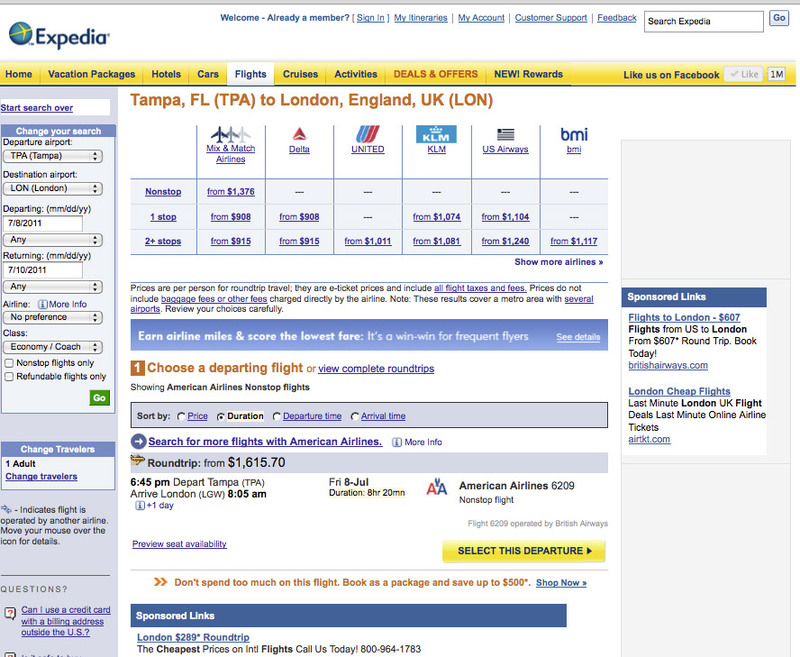 Expedia tells us that the lowest possible fare is $908 and it includes 1 stop, taking 18 hours. Continental doesn't even show in the list. You might think this is an isolated event, but in the three different times that we started the process from the beginning, we saw this same message when it was time to select the flights. The highest fare is for the non-stop, which today is $1376 on BA and $1616 on both Iberia and American. Amazingly, that flight is all the same airplane, operated by BA. While we could go on and on about all the various options, the point is that if you don't know anything about close-in alternate airports, or the best airports to connect (particularly if the connection is tight) or about code share and who is really operating a flight, it is easy to get confused about your options. And whatever you do, don't try to get philosophical about airline pricing. There is absolutely no rhyme or reason. If you think you need to understand airfares and how they are formulated, read the perennial favorite "If Airlines Sold Paint". Expedia allows you to sort the results by individual airlines (by clicking the airline logo at the top of the grid, or to select an airline in the drop down on the left navigation bar. You can also sort by length of flight (here 8 hours and 20 minutes for the non-stop and up to nearly 21 hours for a two stop), arrival and departure time and by price. So far so good. Seems like I can do most of what an agency can do. 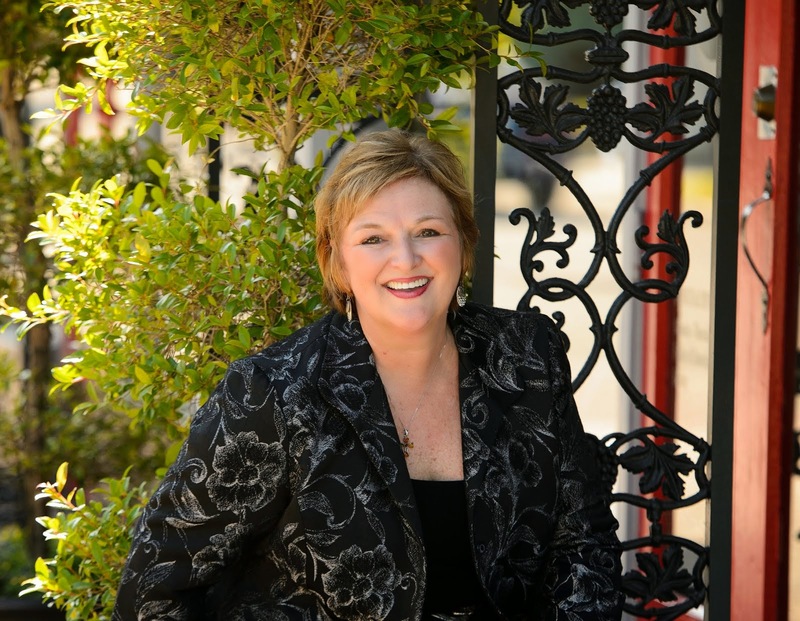 So what can a travel agent do that Expedia can't (*)? Know and understand your personal preferences (beyond just your preferred airline, hotel and car rental company) by asking the right questions up front before beginning your search. Have full access to all of your airline options and to be able to tell you what the lowest "logical" fare would be. In most cases, it doesn't make sense to travel 7 hours longer to save less than $100, as you will spend that on food and beverages (and potentially shopping) in the layover airports. Narrow the search to specific connecting airports. 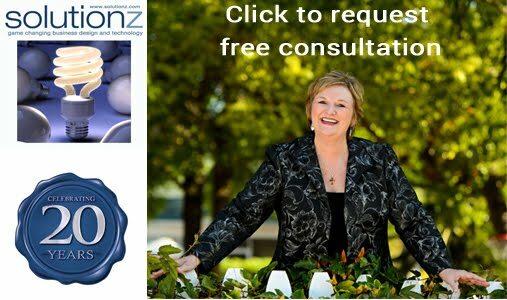 Provide personalized service by phone (and perhaps in person) with a specific individual. And what can Expedia do that a travel agent can't (*)? Be available for booking 7x24x365 without a service fee for purchasing an airline ticket (this could be done by an agency, but it is unlikely that they would be able to afford this service level). Soon, you may be able actually pay for ancillary service fees (seats and bags) for American and others using Farelogix as their 3rd party distribution front end. Unless travel agents deploy a front end tool connected to Farelogix or unless the GDS connects to Farelogix (and pigs fly...), they will not have this ability. (*) Please note that with the right investment of time and money, any company can match another's service levels and product offerings, but not all elect to make that investment. But what is important about the differences between an OTA and an agent isn't so much functionality as it is experience. Granted, Expedia can hire experienced agents to help you on the phone, but my experience today was having to tell the Indian agent what the city code was for both Tampa and London and essentially walk him through the things that I found to be important. With a brick and mortar travel agent, you are more likely to get a "travel counselor" rather than an order taker using the same tool available to the consumer. If you are interested in seeing the full video on the comparison of Expedia to what a travel agency can do for you, click on the play button below. It is just under 9 minutes long. Tomorrow, we'll take a shorter look at Orbitz. Since many of the OTAs share the same capabilities, we will only focus on the differences that make Orbitz unique.